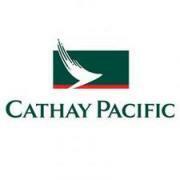 Cathay Pacific Airlines is offering special fares from the USA to Bangkok, Thailand. Round-trip economy class fares start from USD1,102 departing from Los Angeles, USD1,116 from San Francisco, or USD1,163 from New York JFK. Fares include taxes and airline surcharges. These promotional fares are available on select dates now through May 23, 2012. Promotional fares are available for travel on select dates and sold on a first-come first-serve basis. A surcharge of USD25 will apply for departures on a Friday, Saturday, or Sunday. Once the ticket has been issued, a fee of USD100 will apply for any changes or cancellations. Visit http://www.cathaypacific.com/ for more information or to make an online booking. Promotional prices are only available for online bookings.